In the short amount of time since the Florence Township Fire Department experienced a huge loss to their own fire, many have come forward to offer their assistance. From children raising money during the last month of school to strangers giving whatever they had, there has been no end to the support. Donations and well wishes have been pouring in from across the country it seems, but one donation was far above anyone’s expectation. The Cascade Township Fire Department, near Grand Rapids, Michigan, nearly 3 hours away from Edon, has donated a fire truck. The truck, which was in the early stages of retirement from Cascade Township, now has a greater purpose. During a special ceremony at the Cascade Township Fire Department on Saturday morning, the title was handed over to Florence Township Fire Department and then the truck made the 146 mile trek to Edon. The Fire Department, which has been using two trucks on loan, was more than delighted to have something to call their own again. The community was elated, to say the least. Around 2:30 PM, people lined the streets to see their new fire engine come home. Escorted by police and by many members of the Fire and Iron Motorcycle Club, an international motorcycle club for firefighters, the arrival was more like a parade. It may not seem like much to some, but the people of Edon won’t soon forget this incredible act of brotherhood. 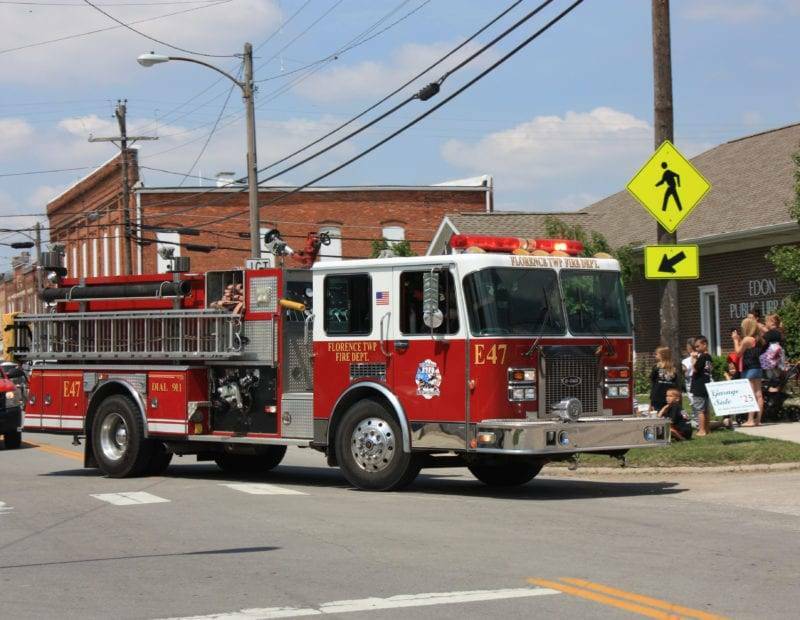 Be the first to comment on "Edon Community Welcomes New Fire Truck With Open Arms"